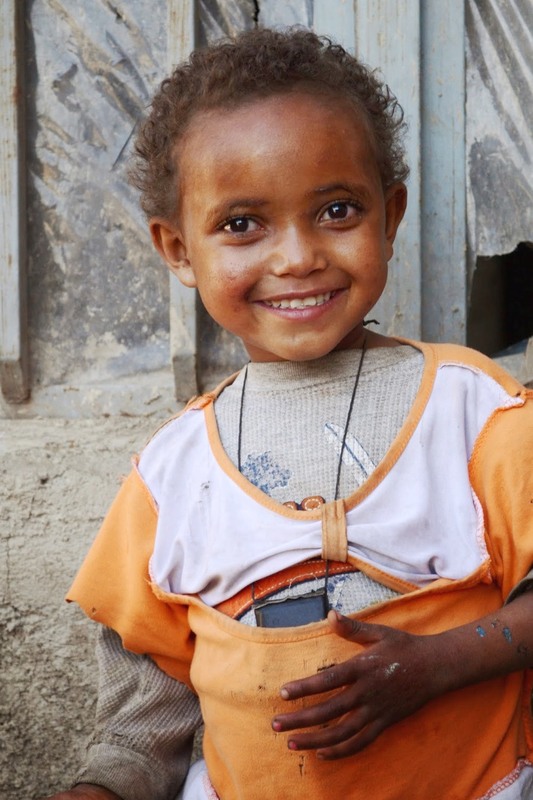 Fitsum Girma is a cute and curious five year old. She is also HIV positive. Blessing the Children found Fitsum three months ago. She was qualified for the program and accepted to begin receiving benefits once she had a full sponsorship of $90/month. As of today, we are still searching and praying for that sponsorship to come through and Fitsum’s health continues to decline. Fitsum, who is small for her age due to malnutrition, was so weak during her home visit for registration that she was barely able to move. This is the most desperate of situations because not only is this girl HIV positive but she’s not receiving the care she needs to fight this disease. Some days, she doesn’t even receive enough nutrition to give her the energy to move. 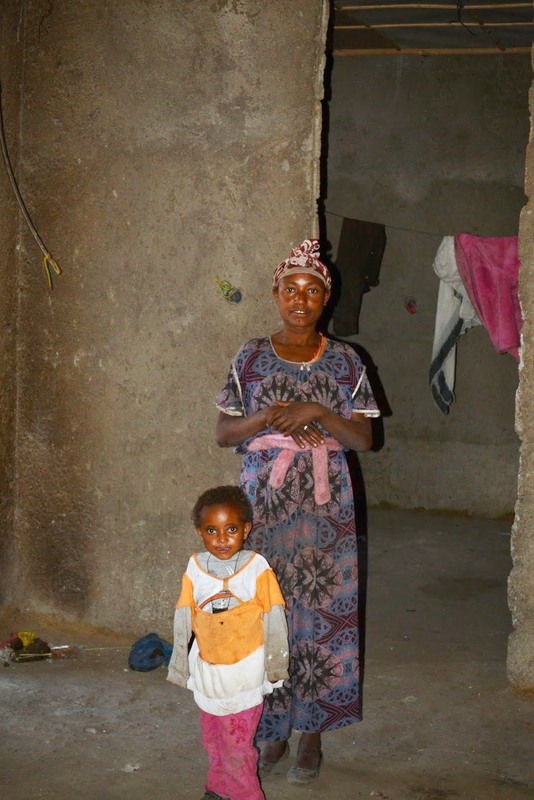 Fitsum lives with her mother and father, who are also HIV positive, and her little brother. Her brother, who is three years old, has miraculously managed to escape this deadly disease. Worka, Fitsum’s mother, washes clothes for a living to help make ends meet. Her father serves as a guard which has enabled Fitsum and her family to live in their current house, an unfinished property, for free because he serves as a guard over the property until the house is finished. Their home isn’t much to speak of. The living room is bare with only a small twin mattress on the concrete floor. The whole family of four shares this mattress. There are no chairs and no bed frames, only a few decorations on the wall and a few metal pots. When the house is finished the approximate cost of monthly rent is 1000 birr or $50 USD, at which point they will need to move out to another home. Fitsum is in very poor health from a wound on her leg. They have sought treatment for the leg but the process has been repetitive as it will start to heal up as she takes medicine for it but once the medicine is gone, it worsens. Without proper nutrition, hygiene and medication, this will continue to be a very painful, ongoing problem for this little girl. Fitsum also needs attention for her leg as it is slightly bowed. Her father found a specialist in Nazreth, a good doctor that could diagnose and treat Fitsum’s leg but he doesn’t have the money to take her in for treatment. Amidst her current health concerns, another great need for Fitsum is schooling. She will need to start school next year to be on time with other kids her age. Fitsum is in extreme need. 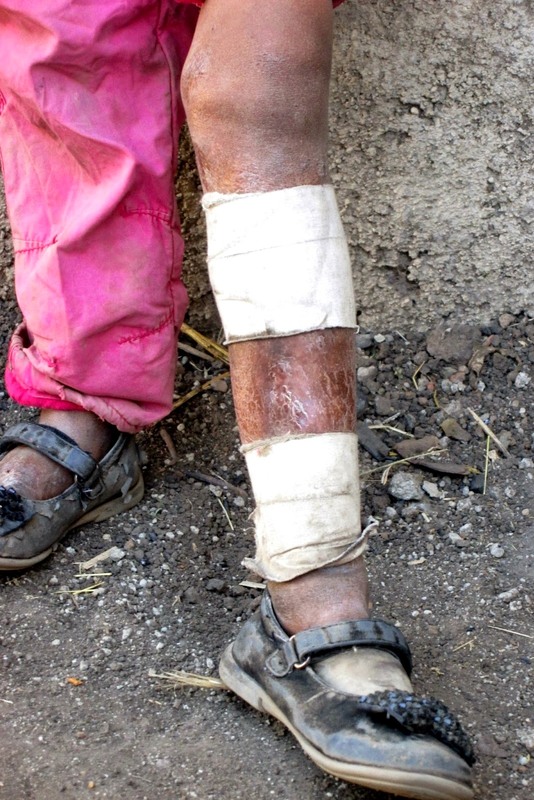 No child should have to live in pain every day from a wound that is months old. No child should be so hungry and weak that they cannot go outside and play. No child should have to suffer through their childhood, wondering when the pain will end and where their next meal will come from. We would like to provide Fitsum with three things. 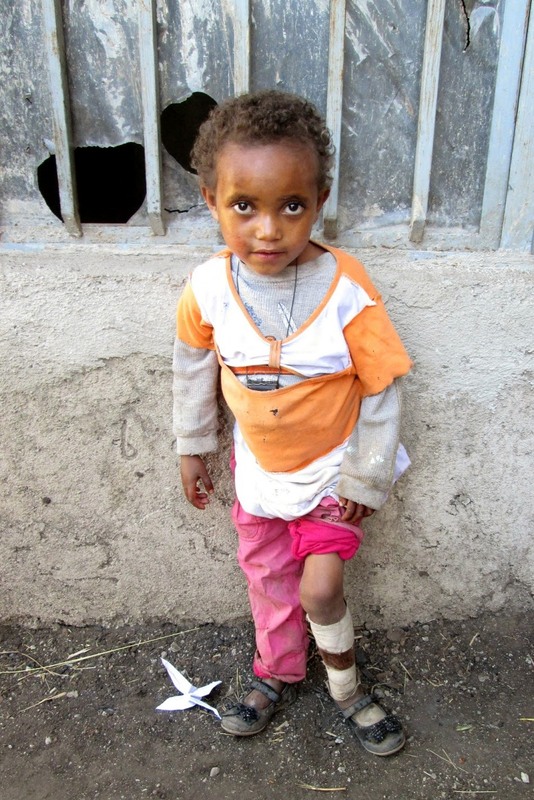 A full monthly sponsorship so she can begin receiving grain support, medical attention and schooling. The necessary funds to get her to a specialist for her leg. The need for a visit to the specialist is $195. Can you help heal this precious little girl by covering her trip to the specialist? 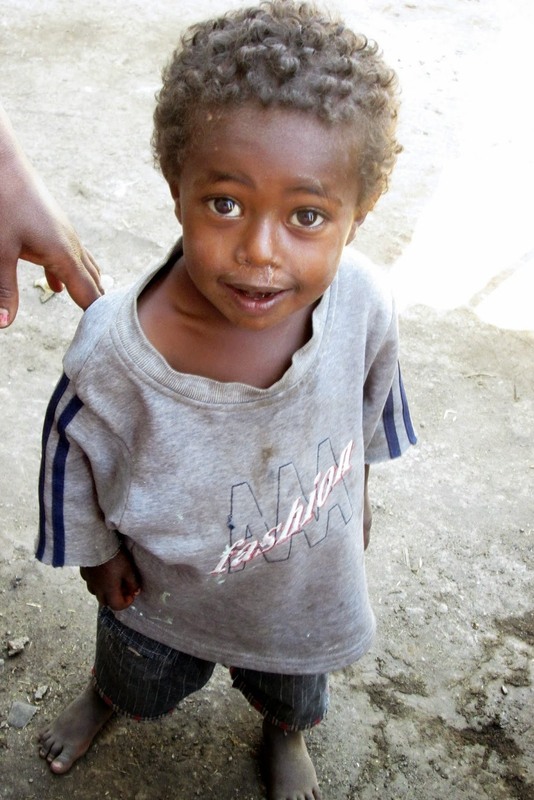 Would you consider sponsoring Fitsum and providing her with schooling, basic medical care and monthly grain support? Perhaps you feel led to provide Fitsum with her own bed, a table to sit at or some rugs to cover their concrete floor? Every little bit makes a difference. Fitsum and her mother in their house. This entry was posted in Uncategorized by blessingthechildren. Bookmark the permalink.